From the Wizard of Oz Birthday Train Collection. 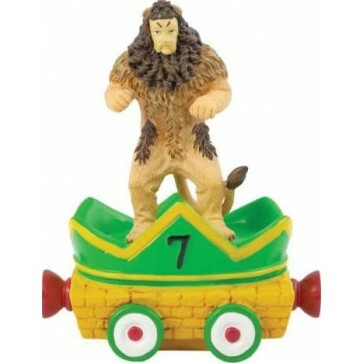 Cowardly Lion Magnetic Birthday Train Age 7. There are magnets on the front and back of the train cart so it can be connected to the rest of the trains in the birthday collection.This figurine measures 3.75" tall, and is made of resin.